Universal wall bracket for Systems 50, 63 og 75. Click on the article no. to open product specifications. 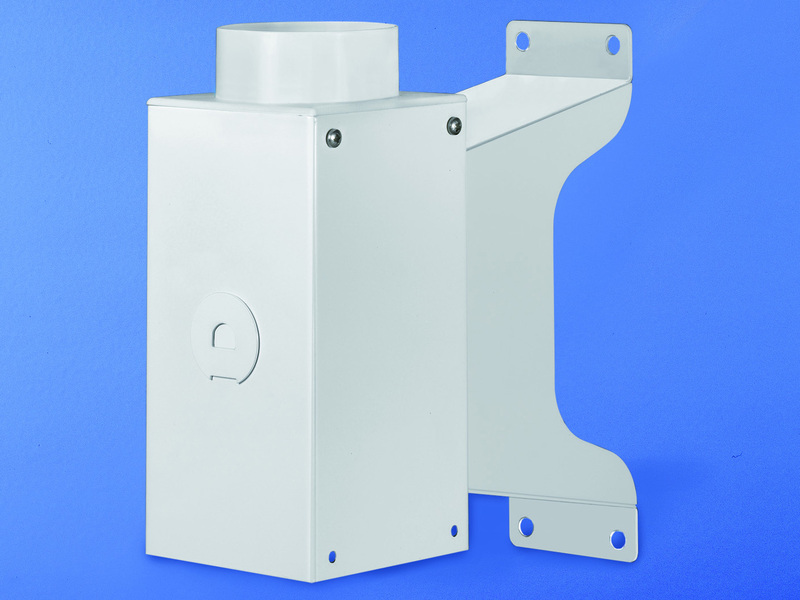 The wall bracket is a universal bracket that fits both System 50, System 63 and System 75. Direct connection with a spiro ducting Ø 80 mm. Connection with a reducer 100-75 to spiro ducting Ø 100 mm. NB: Reducer included. Connection with our aluminium tube Ø 75 mm in the length required in order to achieve an installation in pure style. The wall bracket is manufactured of steel with a polyester powder coated surface. Wall bracket for System 100. Connection with a reducer 4-100125 to spiro ducting Ø 125 mm. NB: Reducer included. This wall bracket is very easy to clean.